If you are looking for an accounting solution than Ease accounts is an one stop solution for your Organization right from Managing projects, plots, lands, occupiers, investors and their related book of accounts, EASE Accounts handles everything smoothly. It also tracks your daily business activities, accounting, general book-keeping, accounts receivable, payroll and tracking job costs for each building from accounting books. With web based user interface, you can be productive right away as it is very easy to use. Profits provides real estate developers to manage and control multiple projects with ease. It serves both accounting and project needs, with the ability to scale operations using sales management to track customer. It helps your businesses save time in managing your day to day financial tasks, orgainse your system and take it to next level. Project control viewpoint that lets you see cash flow, profit/loss and project commitments on a single report. Helping in eliminating any possible errors. It makes easy enter invoices, draws and provides a powerful ability to track all the details and audit details. Cash Management helps you keep up-to-date balances in checking accounts and maintain a detailed audit trail. You can define your book of accounts, maintain groups, ledger etc. Drill Down Trial balance report to its lowest levels viewing till the voucher entry. The software maintains all Books of accounts starting from records of vouchers, ledgers etc. Different types of vouchers like Payment, receipt, Journals, Contra helps in performing day-to-day activities. Option to reconcile bank accounts with bank statements also provides the user information regarding Bank transactions. 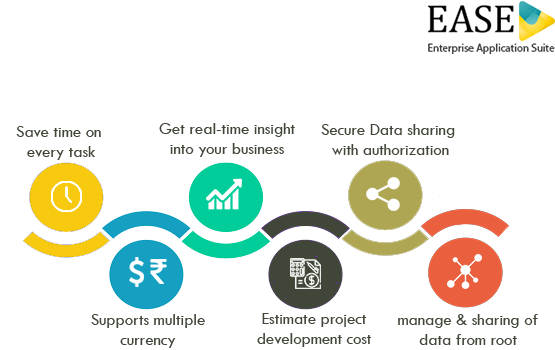 Profit integrated general ledger supports its project control features by providing complete enterprise, entity and department level reports.